My name is Caroline Mark and I am 29 years old! I am southern born and raised but moved to Maryland in 2000. I graduated from James M. Bennett High School where I played basketball and ran 1 year of track (really just threw shot and discus!) I attended Salisbury University for my Undergrad in Spanish and Secondary Education and was lucky to land a job my senior year as a Spanish teacher at Parkside High School. I met my husband at Salisbury University, admittedly at a party up to no good in my freshman year! We dated all through college and he proposed in December of my senior year on the beach! 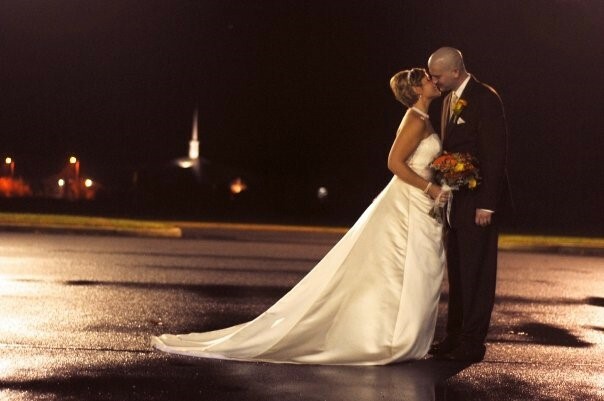 We got married in November of 2008 and now reside in Delmar, MD. 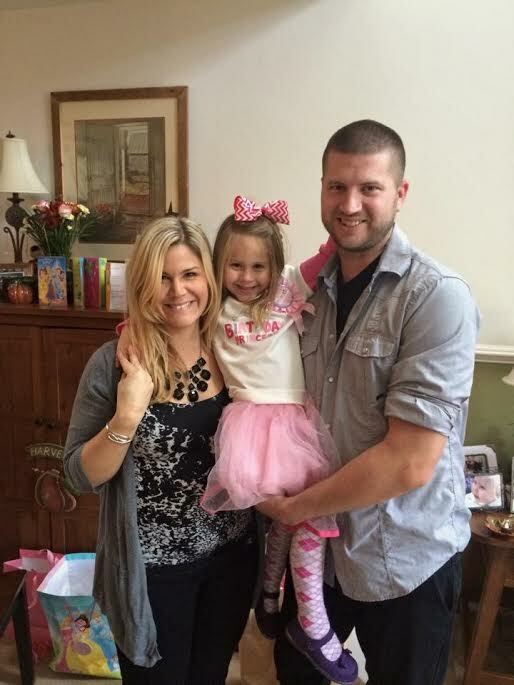 We have one beautiful daughter, Leighla, who is four. We had hoped to be bringing a beautiful baby into our family this May, but unfortunately things did not work out in my second pregnancy and last November we lost our second in the second trimester. That was a really trying time for my husband and me. We found a lot of strength in each other and the time we spent working out together. I am in my 8th year of teaching Spanish at Parkside High School (The green rival school of where I attended my secondary years!) and am working towards my Master’s (1 class left after this semester) in Educational Leadership. I head many committees at school and sit on different councils for the Board of Ed. 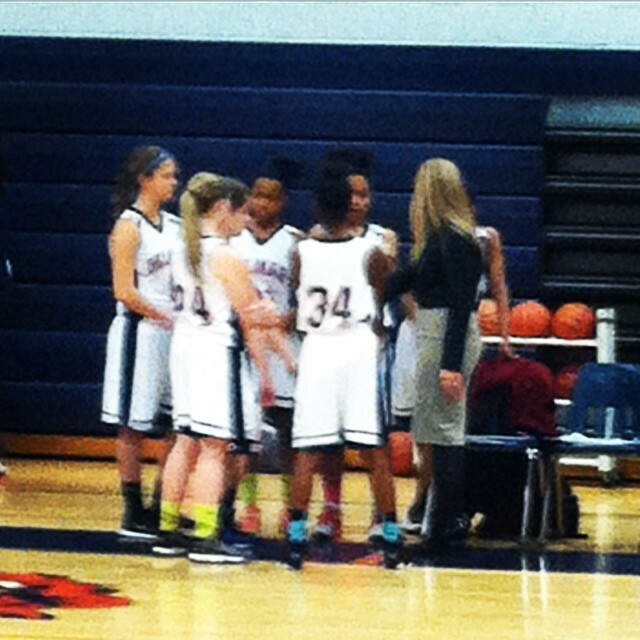 I coached 5 years of JV softball at Parkside, which were some of my favorite memories at Parkside and I have for the past 2 years coached JV basketball at Delmar High School under head coach Billie Fox, who was my high school basketball coach! What an awesome opportunity!!! 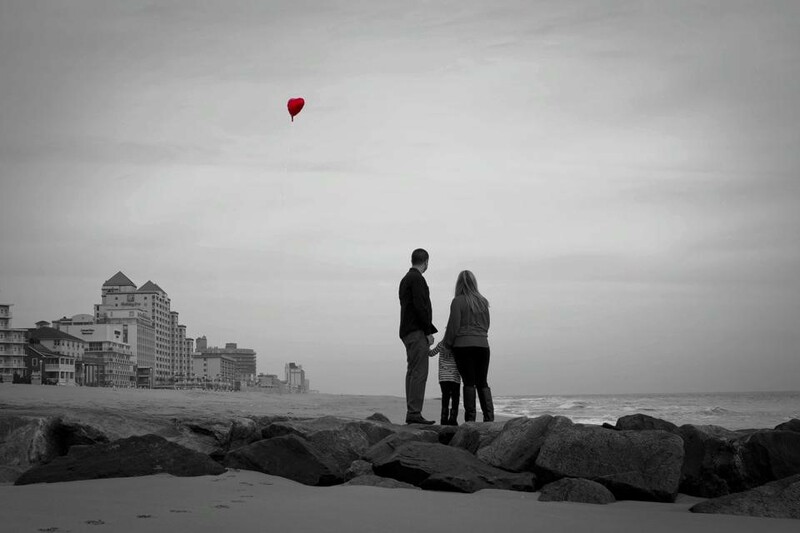 My parents live in Virginia now, they moved away a few years ago, so my husband and I are on the shore without any family near us for more miles than we would like. 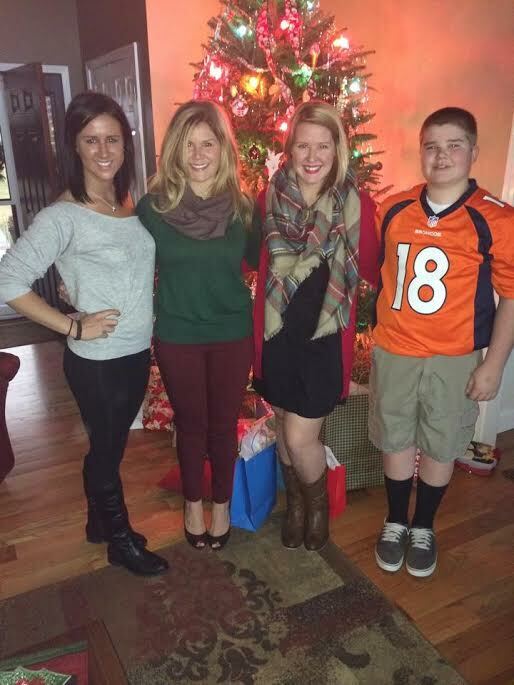 I am the oldest of 4 children, the youngest who is 13!!! My parents had my brother Hill when I was 16! He is awesome! My 2 sisters both reside in the south as well! I am a lover of running, cooking, eating, traveling, and beach! I can’t wait to sit in the sun! This southern girl likes her warmer weather! Caroline you have it going on girl! 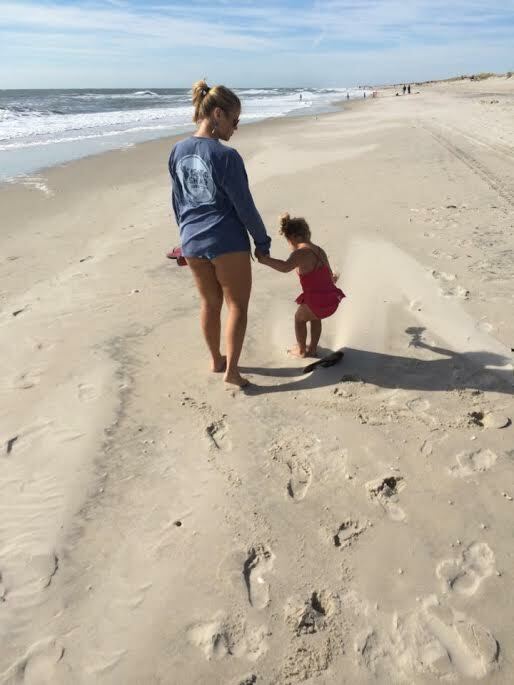 You are a girl after my own heart loving the beach, teaching and coaching basketball. What Caroline may not even know is that I am very GREATFUL for her because I was the previous JV Basketball coach and I was sooo happy that Billie found someone to take my spot! Thanks Caroline! I am a runner. I absolutely live for my run each day. I love it. If I had to pick one thing it would be running. It clears my mind, it allows me to decompress, gives me time with my friends, my family, and ensures that I will be around longer to enjoy both! I also love weight lifting! Long live leg day! And bis and tris day! And back and shoulder day! Long live the weights! Haha! Recently (the past year) I have become a HUGE Tabata fan! My friend Allison introduced me to the group fitness class at our gym and we have been killin’ it together in Tabata for the past year! My workouts are my routine, I do not think of it as fitting them in. They are a part of my day. My husband is awesome. He is an amazing Dad. Simply amazing. I take care of getting Leighla to school in the morning and most afternoons he picks her up so I can go to the gym and not feel pressed for time after work. After school I usually head out for a run and then to the gym for lifting. I love my afternoon runs because it provides me the chance to either run alone or catch up with whomever I am running with and just get my mind off of the day and the things that may have happened and the ever growing list of things to do. Sometimes I pick up Leighla and meet my girlfriend Alli for a “wog.” Appropriately named “wog” by us because it is a walk/run with the jogging stroller! Goodness knows how much of a workout pushing a little one can be! And ours certainly aren’t that little anymore!!! 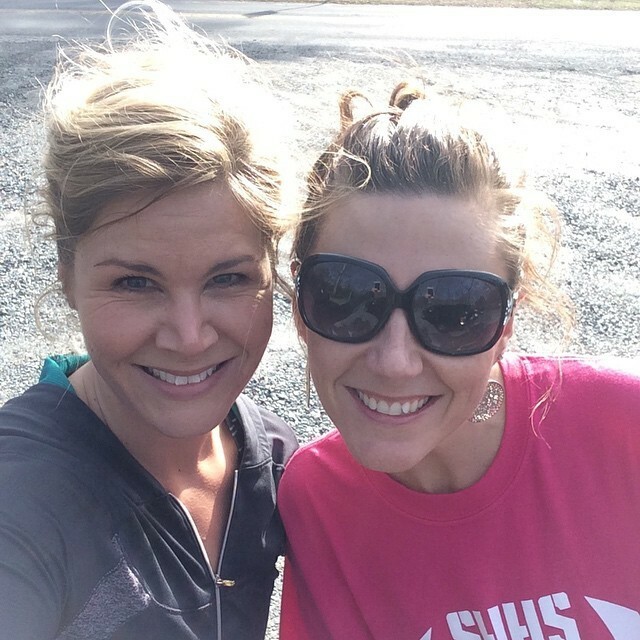 I also run with my friend Sherri after school too! We hope to run the Disney Half together!! Other days I pick up Leighla and we meet Jason at the park after work for a run or even times we just go together without Leighla and then we both pick her up! 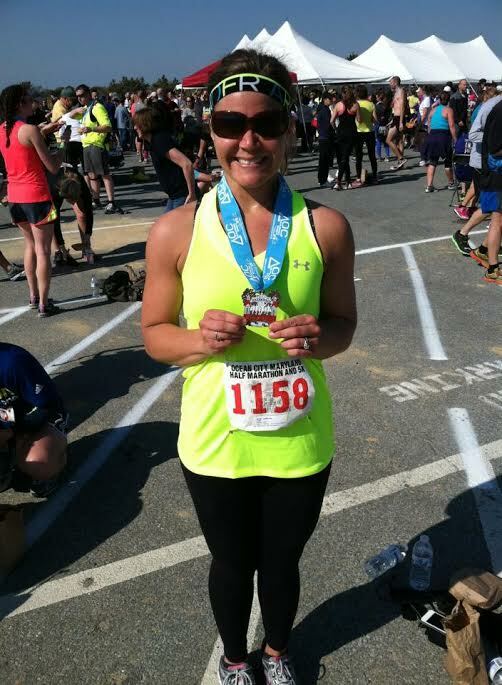 We have been really lucky that Leighla has learned that running is a part of our life. She gets it. She’s good in the stroller and knows she can play after! We make it fun for her too! 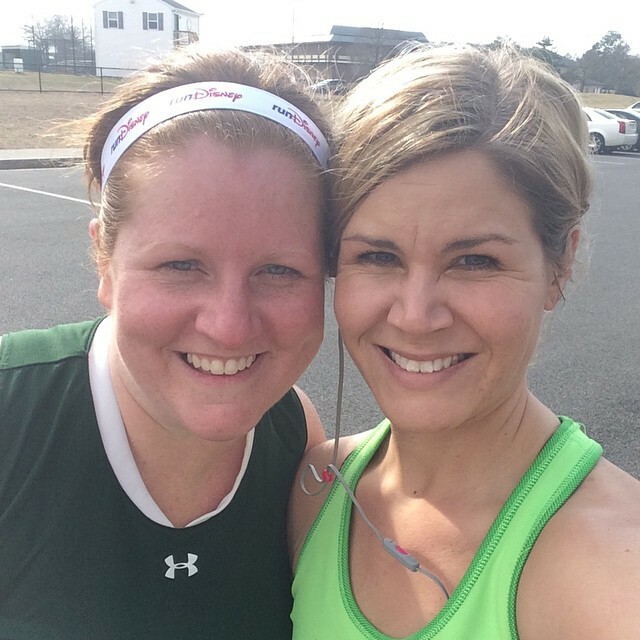 In January we ran a 10 miler together pushing her and that girl was awesome! 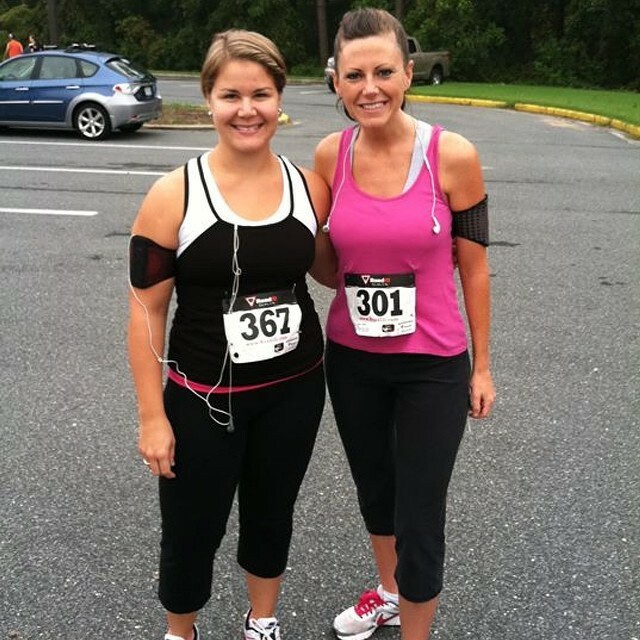 Props to Leighla for being an amazing running partner! Oh! I can’t leave out that Leighla recently rode her bike for 2.5 miles- albeit slow- momma did NOT have to push her! Can we say heck yea!? It sounds like Leighla is following in mommy and daddy’s footsteps and ready to hit the ground running! I love when parents include their kids in their routine, even if it is only for a few things. Establishing positive self-image and even the positive effects a good work out can bring is so critical for kids to understand. 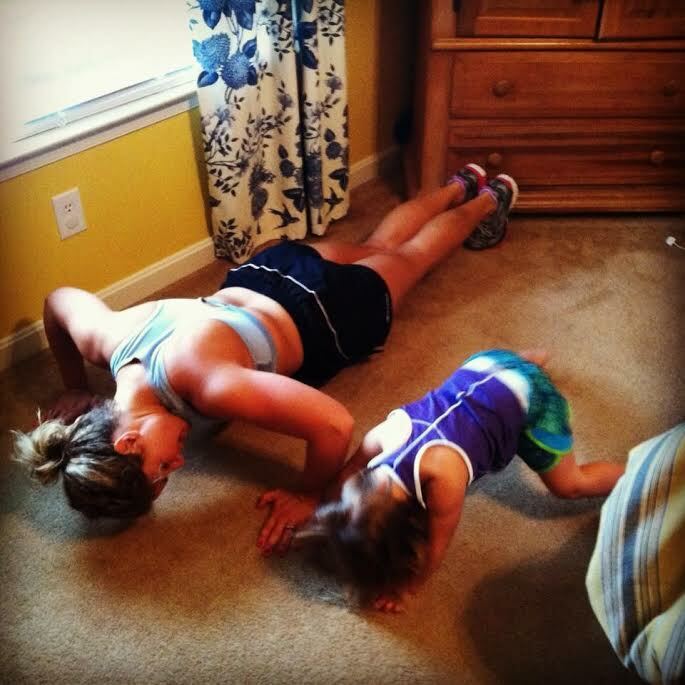 Working out is fun (and hard sometimes) but that is AWESOME you are teaching your daughter this early on! And for that bike ride– way to go baby girl! Setting PRs early- We love it! Gosh! Hot!? This is a fun question!!! I am an IIFYM-er (If it fits your macros) or otherwise known as flexible dieting- but really its lifestyle. I weigh what I eat so it’s portioned correctly and I am providing my body with the appropriate macro and micro nutrients to fuel my fitness goals. For this reason, I am OBSESSED with myfitnesspal. I could not live without this app! It is amazing! I feel a distinct sense of pride knowing that I fuel my body with what I need and at the end of each day my food log reflects the nourishment that fueled all I was able to do that day! I am also obsessed with my food scale because of this! Who knew a Spanish teacher could be good at math too? I am admittedly terrible at math- but my husband is swearing I am getting better because of that darn scale! Speaking of husband- he logs his food too in MFP and together we make the right choices in both food and exercise. He really is awesome! I also cannot live without Tabata class- there is something amazing to be said about HIIT! I have seen such results with HIIT! I love it! And it doesn’t have to been just in Tabata class- it can be on the dreadmill, the step mill, wherever! Sometimes I listen to my tabata interval music while running and do sprints with it! Sometimes Jason and I do Tabata at home- Leighla loves to join! I also have to credit another HOT mom, who I have never met, for her inspiration. Her name is @skinnymeg on Instagram, and I just love her honesty, food prep, exercises, motivation, and her fashion. Instagram can be a great way to find new workouts and new food tips! I love Insta and Pinterest too! Not enough can be said about the Nike+ gps app. I seriously credit the majority of my love for running to the discovery of this app. If it wasn’t there to push me and award me and tell me I can, then I am not sure if I would be the runner I am today. I use my nike app religiously and as of today I have logged 2563 miles on that app! Woohoo! Logging my food is one of my downfalls lately. I need to get back on the MyFitnesspal Train! As for Tabata I am obsessed. I love that you can make up your own routine, use the tabata timer app and get to business! I love how fitness is a priority for you and your family-end of story! 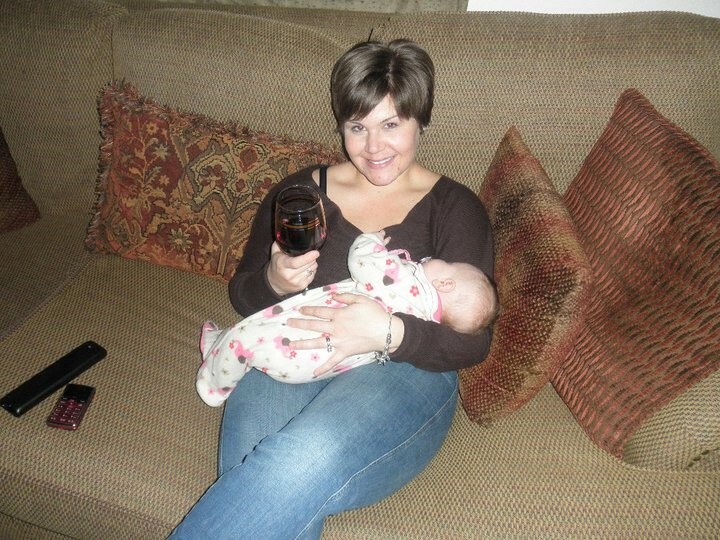 When I went into the delivery room I weighed 205 pounds. 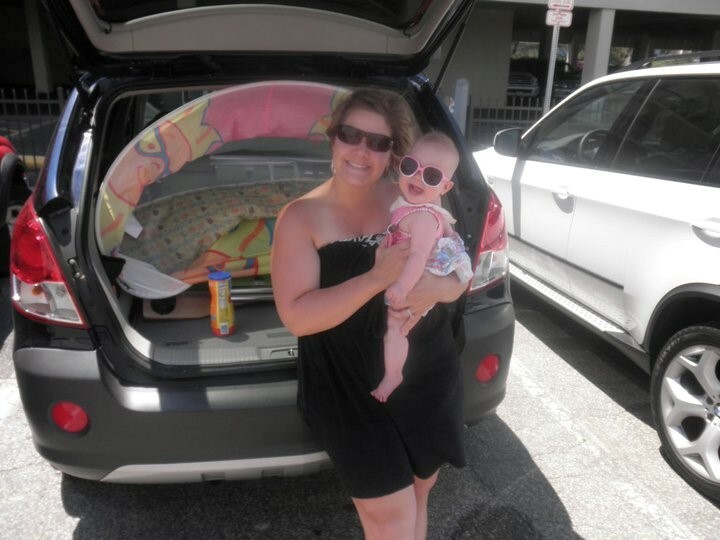 After I delivered Leighla I traipsed around at 194 pounds. Nursing did not help me lose weight. I remember it like it was yesterday. We were at the beach with some family friends and they were taking pictures. I saw the pictures a few weeks later and that was the definitive moment for me that I needed to get back into shape and get it together. From that point forward I just kept going, dropping weight and adding mileage I ran more and more. I signed up for my first 10 Miler, the Tim Kennard in Salisbury in 2012 and was hooked. Did my first half that year in OC at the Island to Island and finished under my goal of 2:30 hours at 2:29:30. I ran the Island to Island again in 2013 and shaved 20 minutes off my time. I also spent quality time in the gym in the summer of 2013 with my girlfriend Erin. 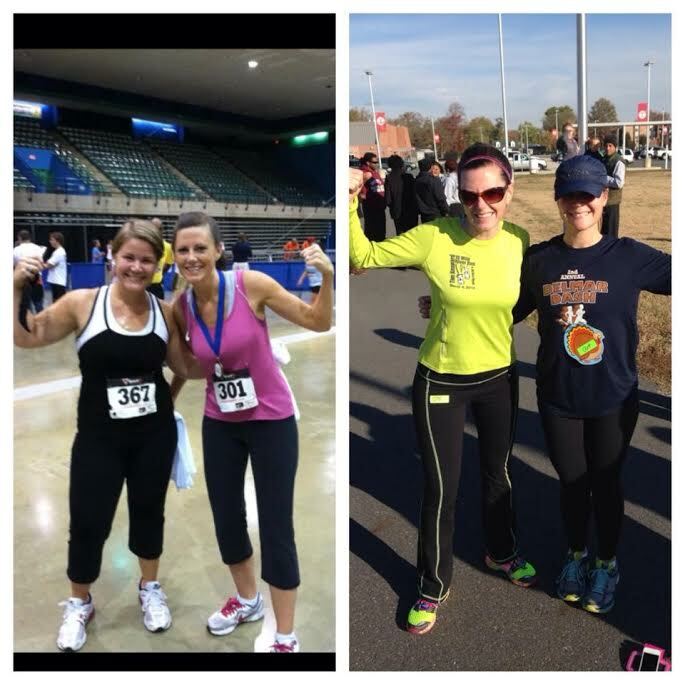 She and I weight trained together and joined forces in shedding extra pounds we didn’t want. She was instrumental in my success because we did it together. My friend Alec also dedicated quite a few miles with me on weekends doing long training runs! Finding myself again and knowing that I can and will succeed if I just stick with it is my proudest accomplishment. There it is… the cold hard facts- Put the time and energy into your goal and you can accomplish it! While it may not always be fun in the process, the end result or at least progress is always exciting! Next! Wow! Well, I am not quite ready for a marathon but I would be lying if I said it hasn’t crossed my mind. My husband and I are a team when it comes to eating and training and he and I have two races on the horizon right now- the Trap Pond Half and either the OC Island to Island or the half in Rehoboth that same weekend! I think more specifically my goal is to keep working on my beach body and get ready for a healthy fun summer! Caroline THANK YOU so much for your truthful and inspiring interview. It is truly amazing to see a fitness story like yours. We love the dedication you have to your family, community and healthy lifestyle! You truly are a role model for anyone- especially those that think the barriers are against them or maybe do not know where to start. I think what it is important to learn from Caroline is that it is a fitness journey not a destination- It does not have an end point because we should all want to get better, set goals to accomplish and hopefully inspire a few people along the way. We cannot wait to hear how your spring races go? Maybe a guest post telling us all about them? ?